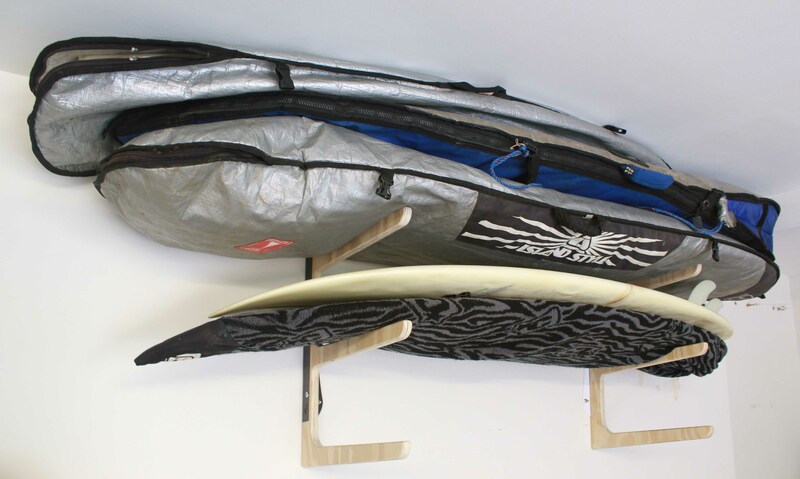 A functional and space saving storage solution for your surfboards, skateboard, bicycle and many other goods. 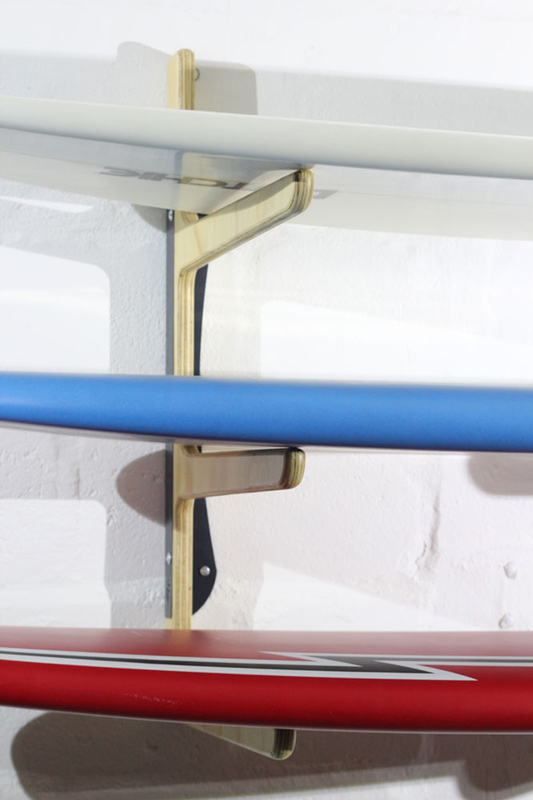 The system works for vertical or horizontal storage of your surfboards, depending on your preference and mounting orientation. All edges are rounded creating added protection for your boards. Each level can accommodate 2 boards comfortably. All boards are welcomed from short boards to long boards to fishes, and SUP’s. Notify me when JE Surf Rack is available.